Hook and Loop tape or hook and loop Velcro is becoming very popular these days, they are also known as hook and loop fastener. Hook and loop tape is made of a single hook and a single loop, the hook is rough in texture and has tiny little hooks, the other side which is loop is less rough and has less hair kind texture on it. 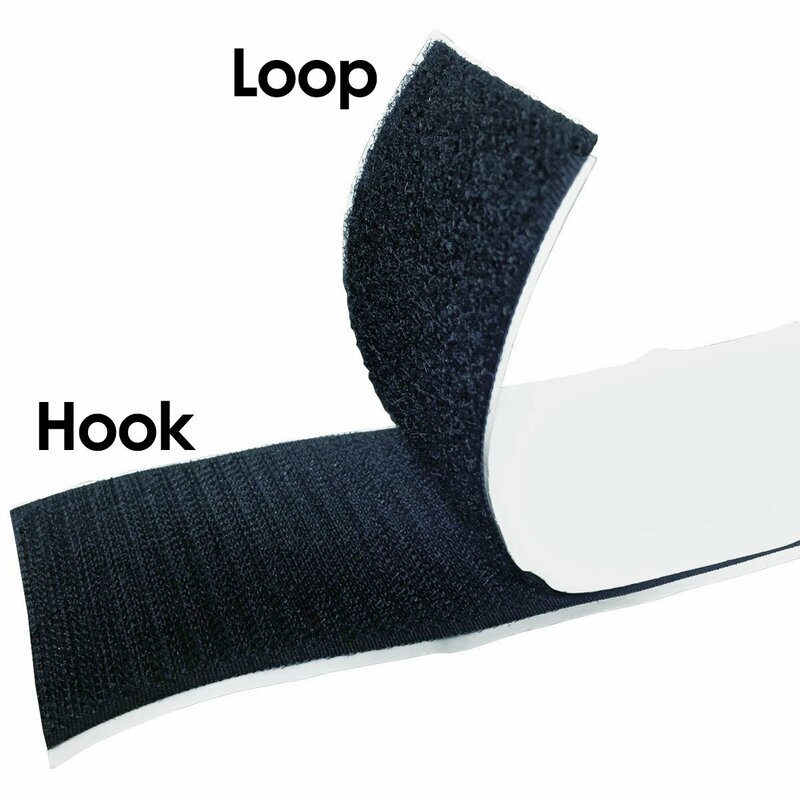 When the hook and loop are being brought together they stick with each other, this is how the Velcro and tape works. What is the advantage of using Hook and Loop tape and Velcro? They are easy and safe to use, have low maintenance, they are strong, and they have multiple applications. Easy and Safe to Use: They are easy to use due to touch fastening applicator, there is no need to fight with buttons or zips etc. Low Maintenance: These tapes require very less maintenance and they last for a long time, the performance of these tapes go down after multiple uses and after a long time. Strong: These Velcro’s and tapes are very strong in nature as they are very well prepared and maintained. Variety of Application: It can be used for multiple works. There are different type of hook and loop tape and Velcros like Adhesive backed, Dual Lock hook, Moulded Hook ,Mushroom Hook, Mixed, Straps, Un-Napped loop, Knit Loop, Double-faced loop , C–Fold, Back to Back loop, Foam Backed Loop,100% polyester loop, Coins, Die-Cut Pieces loop, Cut Pieces loop ,Fire retardant loop. Hook and Loop tapes and Velcros is the best option to join the products and materials whether it’s a fabric or any other substance they can be used as a mediator to join in two items and keep them intact without much effort and cost involved , the velcros and tapes can be brought in use in our day to day life as they can be used on clothes which are used on a daily basis , these tapes can also be used in kitchen bathroom wardrobes in the living space on the curtains etc. Velcros are available in different shape sizes and colours along with a different volume of hook and loop, they can be customized as per the need of the users and also the purpose for which it needs to be used as they are second best option to keep things intact without putting much cost and effort. Earlier the use of Hook and Loop tapes and Velcros was very limited and they were not being utilized at its best they were very underrated but with the emerging trend the use of these tapes and Velcros has become very high and they have got recognition in the eyes of user and also in the market, being the most cost-effective method that can be used to join two sides of an item velcros are very safe and easy to maintain as well. In the coming years, the Velcros ad tapes will be more trending in the market due to its low cost and more efficiency with different varieties .